Moc Chau is a big plateau in Son La province. 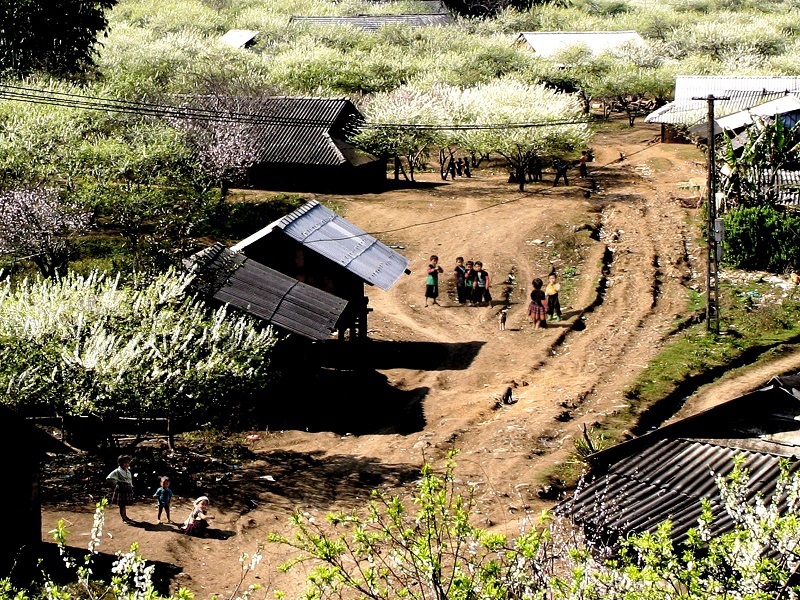 It is well-known for poetic landscapes with endless grass fields, huge gardens of plum and apricot trees and various flowers, immense tea plantations and large herds of milk cows. Ba Phach village (bản Ba Phách): The road leading to Ba Phach village is a bit rough, especially in rainy season. However, in spring, the 2 sides of the road are covered with pink cherry blossom. Pa Kha (bản Pà Khà) and Long Luong (bản Lóng Luông) villages of H’Mong ethnic group are near route 6. On the way from Hanoi to Moc Chau, you will pass these villages. There are stunning plum gardens in the two villages. Ngu Dong in On village (Ngũ Động bản Ôn) is a forest with many caves. To explore the forest, you will have to find a place to park your motorbike and trek in the forest for about 3km before arriving at any cave. On the way to Ngu Dong, you should visit the heart-shaped tea hill. This is an ideal place for taking photos. Dai Yem waterfall (Thác Dải Yếm) is on the way to Song Lap border gate. The waterfall is very beautiful, particularly in rain season. 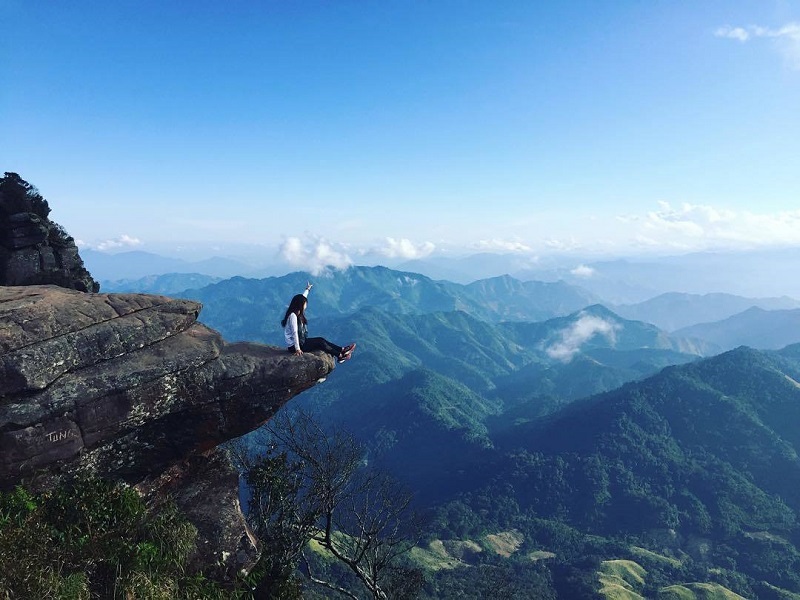 Pha Luong peak: At a height of nearly 2,000m, Pha Luong is an attractive destination for young people. Conquering this mountain requires the courage and strength of real adventurers. Located 30 km from the town of Moc Chau, the Pha Luong Mount is the roof of Moc Chau. Located between Vietnam – Laos border, tourists have to walk for three to four hours from the Pha Luong border station at the foot of the mountain to the top.